JR Hamamatsucho Station is a busy thoroughfare for Tokyo’s jet set because of its link to Haneda airport and for tourists heading to Tokyo Tower and Zojoji Temple. 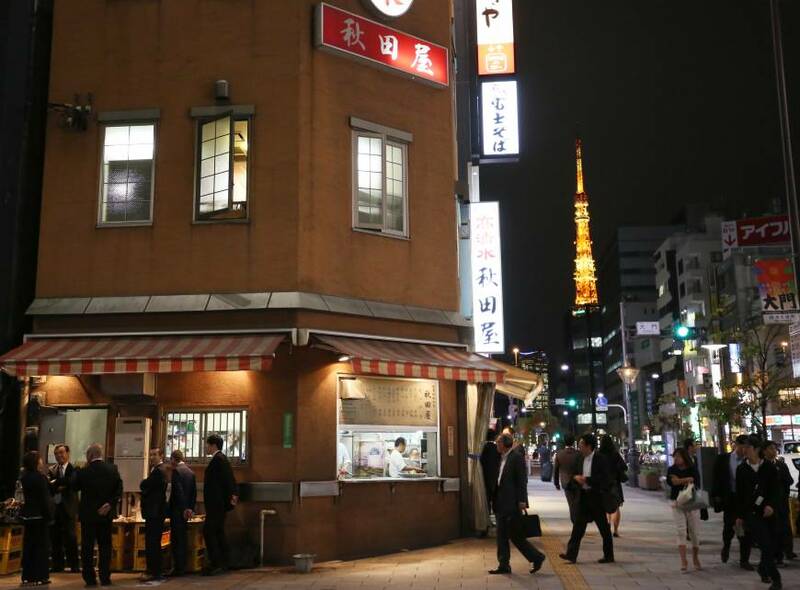 One place that grabs people’s attention on the way is Akitaya, a motsu-yaki (grilled offal) restaurant that offers grilled pork and beef intestines seasoned with salt or sauce. Located near the office-workers’ dining district of Shimbashi, Akitaya is a conundrum: The place looks shabby, and yet it regularly features in Japanese gourmet magazines. “I hope Akitaya remains as it is. A motsu-yaki restaurant should not be something fashionable,” said Hiro Kanazawa, 90, whose father founded the restaurant in 1929. 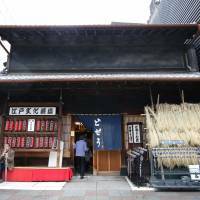 Akitaya’s two top recommendations are tataki, a meat stick made of minced pig gristle, and nikomi, stew of cattle intestines and tripe. Akitaya serves about 120 tataki a day. Diners are not allowed to order more than one portion, and they are required to order a drink. It is best to order by 7 p.m. or the food may run out. 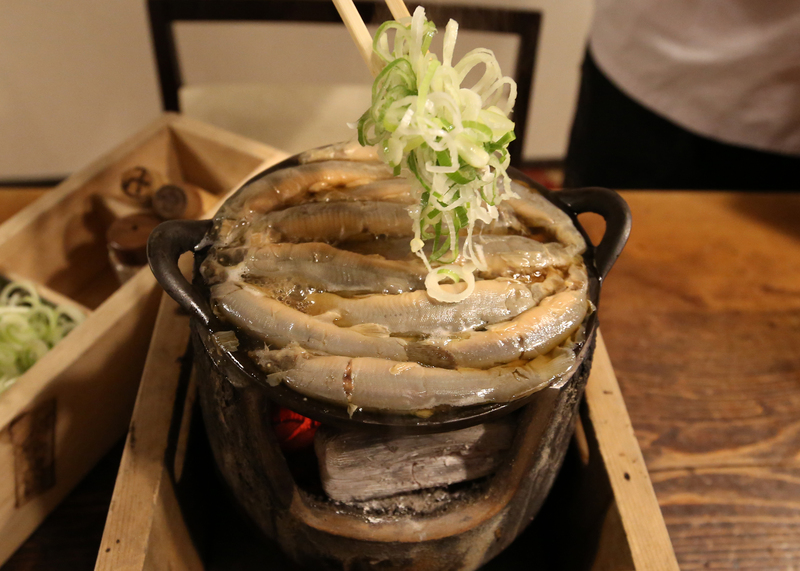 It is Akitaya’s nikomi that is often featured in magazines and may be the cause of the restaurant’s renown. The guts are washed painstakingly to remove any smell. The restaurant recommends salt seasoning instead of sauce to enjoy the taste of the meat. Among the nine kinds of motsu-yaki available, the restaurant recommends hatsu (pig’s heart), kashira (head) and liver. Another fine restaurant is Komakata Dozeu in the Asakusa district of Tokyo’s Taito Ward, which boasts a more than 200-year history. 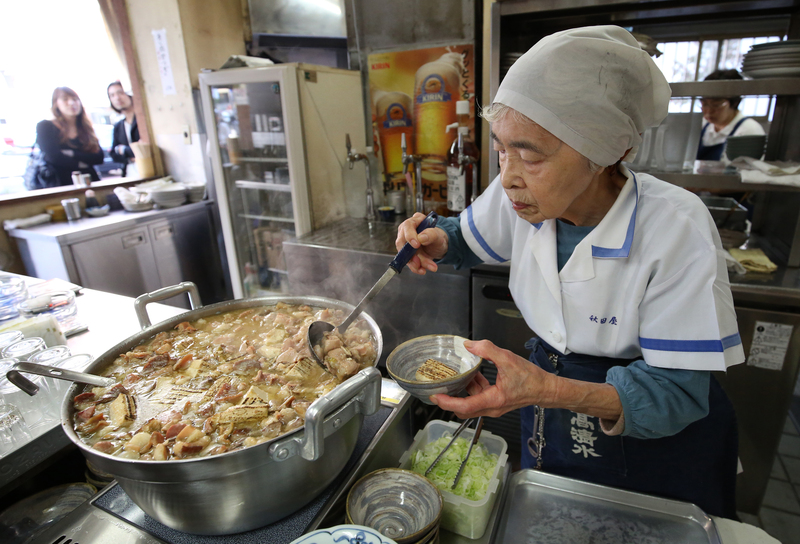 Established in 1801, the restaurant is known for its dojo nabe loach pot. Nowadays it uses farmed loach from Kyushu, but back in the Edo Period (1603-1868), loach was abundant and sold cheap in marshy Tokyo. It was popular among working-class people. The fish was an important source of protein for the Edo people, with loach pot dish a favorite for many. 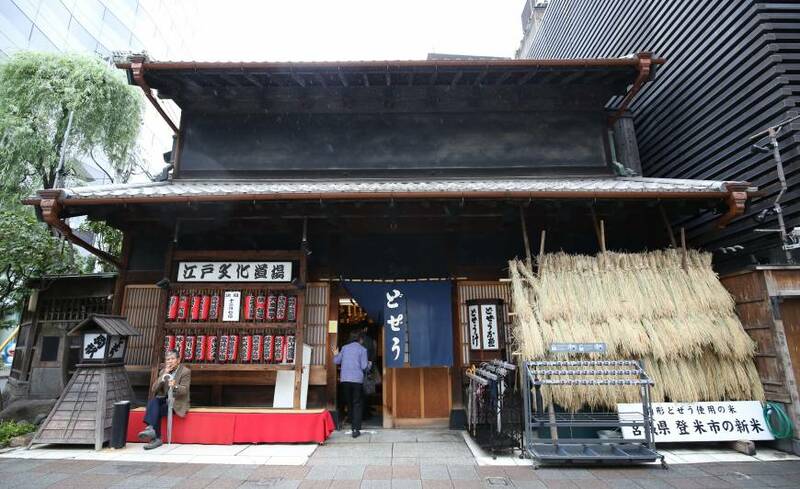 The traditional taste is not the only Edo Period experience on offer at this establishment. The building reflects the architecture of those days, although it has been destroyed four times, including in the 1923 Great Kanto Earthquake and in the bombing of World War II. Its Edo-style appearance is a big draw for tourists. One interesting feature is the lack of windows on the second floor. This was to prevent clients trying to assassinate feudal lords, or daimyo, when their processions passed outside. 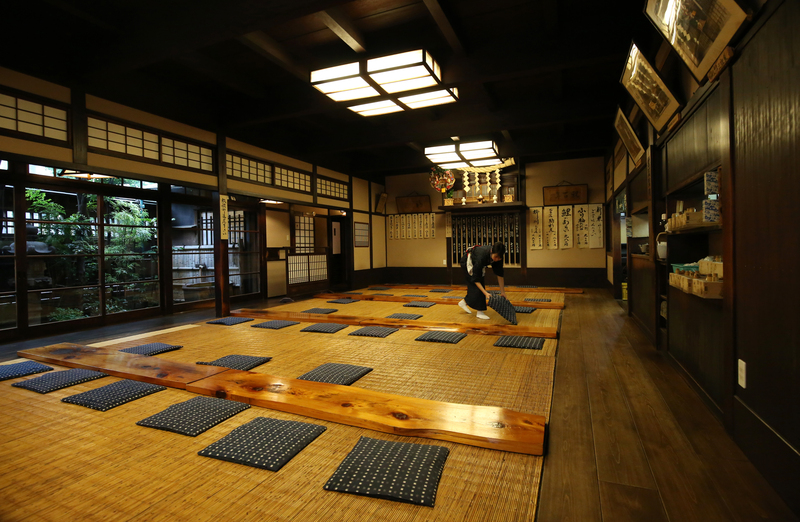 Customers need to take off their shoes and give them to staff — a convention dating back to the Edo Period. They then receive a wooden token called a getafuda (shoe ticket). When they have dined and settled their bills, they exchange the getafuda for another token that says “payment settled.” This avoids customers being asked multiple times if they had paid their check — and to prevent them jumping their bills. 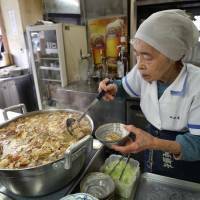 Workers’ oases vary over the years, but a common thread connects Akitaya and Komagata Dozeu: They both offer an unassuming, relaxed atmosphere. This section, appearing in the first week of each month, offers a snapshot of areas that may interest tourists.